At the Hafjell Alpine Centre, skiers can have a blast skiing down more than 40 kilometers of slopes at varying levels of difficulty. 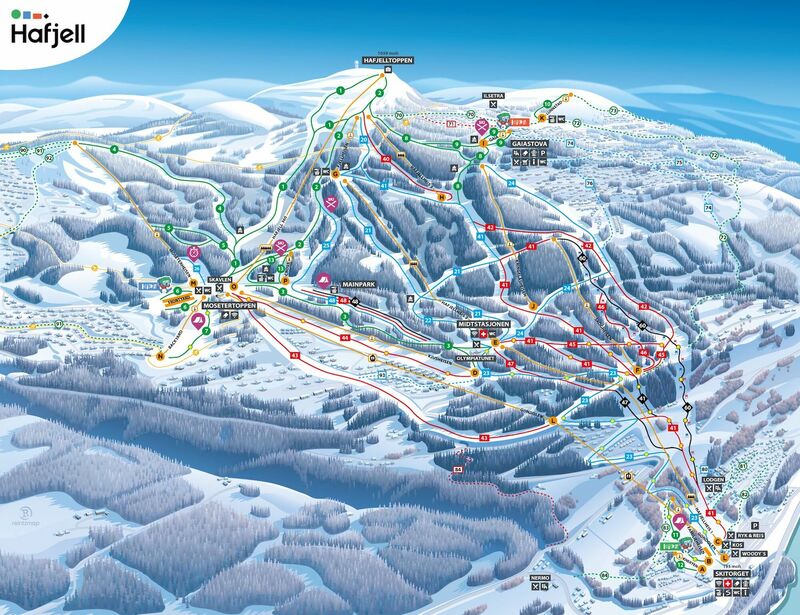 There are a total of 31 different slopes ranging from green slopes (beginner), nine blue slopes (easy) and seven red slopes (intermediate) to four black slopes (advanced). The overall drop on the mountain is 835 metres. So whether you are a beginner or an expert, a great skiing experience awaits you here in Hafjell.